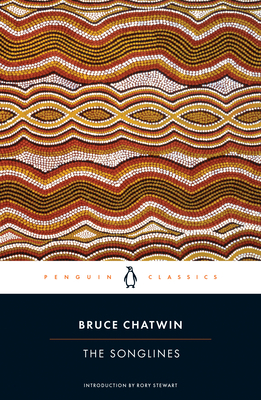 Part adventure, part novel of ideas, part spiritual autobiography, The Songlines is one of Bruce Chatwin's most famous books. Set in the desolate lands of the Australian Outback, it tells the story of Chatwin's search for the source and meaning of the ancient "dreaming tracks" of the Aborigines—the labyrinth of invisible pathways by which their ancestors "sang" the world into existence. This singular book, which was a New York Times bestseller when it was published in 1987, engages all of Chatwin's lifelong passions, including his obsession with travel, his interest in the nomadic way of life, and his hunger to understand man's origins and nature. Bruce Chatwin (1940–1989) was the author of In Patagonia, The Viceroy of Ouidah, On the Black Hill, The Songlines, and Utz. His other books are What Am I Doing Here and Anatomy of Restlessness, posthumous anthologies of shorter works, and Far Journeys, a collection of his photographs that also includes selections from his travel notebooks. Rory Stewart is the author of The Prince of the Marshes and The Places in Between.